This examination is being given to fill vacancies in Correctional Health Services. Candidates must pass a background investigation given by the Sheriff's Office and a pre-employment drug screening. Prepares and maintains patient files; registers patients and updates registration information; maintains a system of clinic appointments; files material, answers phones, takes messages; organizes office procedures and routines; keeps statistics and records on clinic usage; operates standard office equipment. Matches account numbers with financial codes; verifies insurance coverage; enters patient data in computers; obtains computer printouts; obtains signature on forms. Assists medical doctors and mid-level providers in specialty clinics; assures availability of necessary patient charts and records; obtains and assembles required medical supplies; sets up specialty trays; assists in patient examinations; maintains patient medical charts and transcribes orders; transmits medical information and orders; schedules clinic appointments and arranges for appointments in other clinics and medical facilities. Greets and directs patients to clinics and service areas; answers questions and provides information regarding clinic services to patients and families; prepares patients for examinations; schedules clinic appointments and arranges for appointments in other clinics and medical facilities. Takes and records vital signs, including blood pressure, temperature, pulse, respiration and weight. Assists professional staff with tests, procedures and examinations; transports and collects specimens for providers. Assists other practitioners, including social workers, other staff in mental and public health clinics, and nutritionists, in providing services to clinic patients. Maintains inventory of medical and office supplies; orders supplies as needed. Maintains contacts with collateral clinics, agencies and medical staff; runs clinic related errands for medical staff. May perform electrocardiograms; may administer cardiopulmonary resuscitation; may perform skin punctures and/or blood draws if required by off-site clinic assignment. Education: Completion of a Medical Assistant program of training in an approved college or business school. Experience: One year performing the duties of a medical or outpatient clinic assistant in a medical or clinic office which included both clerical and unlicensed assistive patient care duties. Experience: One year as a Nursing Assistant or Hospital Unit Clerk. Education: Completion of the equivalent of 15 units from an accredited college or approved business school in at least three (3) of the following subject areas: medical terminology, anatomy, physiology, psychology and medical office practices. Education: Successful completion of an approved Paramedic (EMT-P) education program accredited in the State of California. Such program of study must include clinical and didactic practices.  Special Requirement: If required by nature of the assignment – off-site campus hospital clinics ONLY AND supervised by a licensed physician, nurse practitioner or physician assistant: Upon employment with San Joaquin County, or assignment to an off campus hospital clinic, incumbents 1) must have successfully completed a Medical Assistant program prior to such assignment, and 2) must obtain a Limited Phlebotomy Technician certificate issued by the California Department of Public Health within six months of assignment. License: Possession of a valid California driver's license, depending upon the nature of the assignment. Medical (clinic) procedures and practices; basic physiology, anatomy and psychology; basic patient registration, records and charting procedures; unlicensed assistive practices; medical terminology; medical supplies; basic computer and modern office automation technology and computer software programs relevant to department operations; basic public relations. Set up and maintain clerical functions of a medical clinic; take patient vital signs; learn and perform unlicensed assistive duties for licensed providers; communicate effectively both orally and in writing; operate computers, office equipment and related software; maintain effective working relationships with a wide variety of professional staff, coworkers, patients and the general public. Mobility-Frequent operation of a data entry device; constant standing and walking; frequent sitting, pushing/pulling and bending/squatting; occasional moderate to heavy equipment operation; running; climbing stairs; Lifting- Constant lifting of 30 lbs. or less; frequent lifting of 30 to 70 lbs. ; occasional lifting of 70 lbs. or more; occasional restraining, lifting/turning of heavy objects or people; Vision-Constant reading and other close up work; constant need for color perception, hand/eye coordination, depth perception and use of peripheral vision; Dexterity-Constant holding, reaching, grasping, writing and need for repetitive motion; Hearing/Talking-Constant need to hear normal speech and faint sounds; constant talking on the telephone and in person; occasionally speaking over public address system; Emotional/Psychological-Constant exposure to trauma, grief and death; constant public contact, decision making and concentration required; Special Requirements: May require working nights, weekends, and overtime; Environmental-Occasional exposure to hazardous materials; frequent exposure to noise.